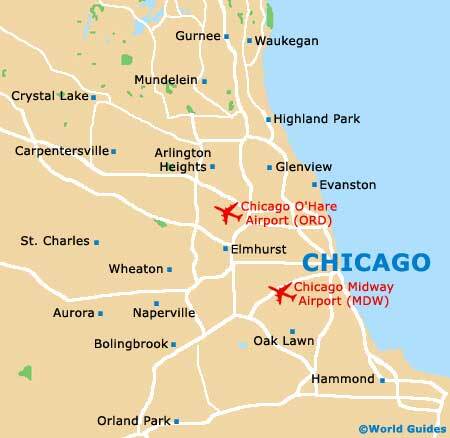 The busy city of Chicago comes with a selection of exceptional art galleries, which beckon to many a tourist on holiday here and are packed with works by acclaimed international artists. 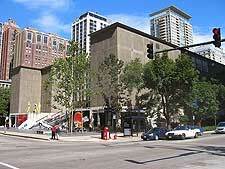 The first port of call for many an art lover is likely to be the Chicago Museum of Contemporary Art (MCA), which stands alongside the Lake Shore Park, within the Streeterville neighborhood, and was established in the late 1960s. Visitors to the MAC gallery will discover some 2,500 objects and over 3,000 art-related books, with notable artists including the likes of Alexander Calder, Jasper Johns and also Andy Warhol. Equally memorable is a trip to the Art Institute of Chicago (AIC) on South Michigan Avenue, which stands within Grant Park, close to the Architecture Foundation. The Art Institute of Chicago dates back to 1879 and is famed for its wealth of impressionist and post-impressionist paintings. With galleries and exhibition space covering approximately one million square feet / 93,000 square meters, this venue serves as America's second-biggest art museum and draws approximately one and a half million visitors per annum. The Chicago Museum of Contemporary Art (MCA) ranks amongst the top galleries in the city and visiting this facility is certainly a memorable experience, whether you stay for just an hour, or spend the whole day. The museum contains many wonderful contemporary paintings and sculptures, dating from 1945 onwards. There are also special exhibitions concentrating on some of today's most innovative artists, as well as a café in the building, with spectacular views across Lake Michigan and the appealing sculpture garden outside. The Aldo Castillo Art Gallery was founded in 1993 by Aldo Castillo, who was a prominent art dealer in Chicago. Aldo Castillo was originally a refugee from Nicaragua and opened this venue in order to promote the appreciation of Latin American Art. This is an important place for artists to showcase and sell their paintings, sculptures and art work. The Art Institute of Chicago is one of the top galleries in the city and exhibits paintings from both famous and unknown artists. This renowned museum is home to an exceptional collection, which includes works of art by the likes of Monet, Van Gough, Renoir and other remarkable artists. 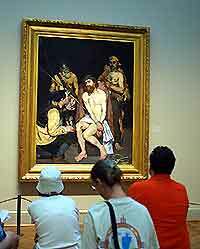 The Art Institute also contains many impressive works of contemporary art, such as paintings, sculptures, drawings and photographs. With a collection of over 300,000 pieces of art and antiquities, this institution is well worth a visit and easy to find, residing in the Loop district. Guided tours are available if required. Situated on the northern side of Chicago, the Douglas Dawson Art Gallery is best known for its wide and varied collection of international art work. With a myriad of unusual pieces on display, such as tribal art from Africa, Oceania, the Americas and Asia, visitors should expect to find colorful paintings, sculptures, ceramics, textiles and furniture. Knowledgeable staff are on hand to answer any questions that you may have. Gallery 312 is one of the many galleries in the city and exhibits both contemporary and historical art, including paintings, drawings, sculptures and ceramics. With a large event space and regularly changing exhibitions, the Gallery 312 deserves a visit. All proceeds from sales of art are donated to children's charities, with this venue working on a non-profit basis. The Museum of Contemporary Photography (MOCP) is an exciting exhibition space, celebrating the photographic skill of modern day photographs. Based in the Columbia College, this photographic museum has numerous exhibitions throughout the year and many of the excellent photographs are for sale here. The David and Alfred Smart Museum of Art is much more than an art gallery. It is home to a large, permanent collection of over 7,000 items, dating back more than 500 years. From both Western and Eastern civilizations, the exhibits include contemporary American paintings, Chinese Neolithic ceramics, modern light sculptures and many interesting, educational displays. 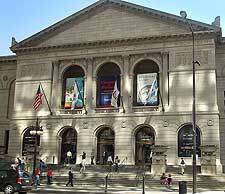 The David and Alfred Smart Museum of Art is one of the most dynamic and interesting museums / art galleries in Chicago. A small café and shop are available on-site. The Thomas McCormick Gallery houses an interesting and appealing mixture of contemporary art, much of which dates back to the 20th century. Highlights include permanent exhibitions by Robert Nickle, famous for his collages, Thomas Bakers, best known for his pen and ink drawings and paintings by local city artist Wesley Kilmer.